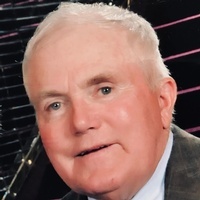 class="obituaries-template-default single single-obituaries postid-1893750 wpb-js-composer js-comp-ver-5.7 vc_responsive"
Gene was born on May 20, 1945 at Fairbury, Nebraska, and died on March 16, 2019. He died on the farm where he grew up, near the creek where he played as a boy, working on his fence for his cattle. Gene went to country school at Helvey, Nebraska until 8th grade and then attended and graduated from Fairbury High school in 1963. He began farming at age 15, putting himself through college. He graduated from the University of Nebraska at Lincoln in 1968 with a degree in Animal Science. He was a member of Alpha Zeta and Block and Bridle Agricultural Societies. His love of animals was demonstrated in his devotion to his cows, hogs, and even his pets. He enlisted in the Army Reserves following high school and spent one year in active duty, followed by weekends and summer Reserve camp throughout his college years. He was married to Susan Jeanette Huebner on June 13, 1970 at Our Redeemer Lutheran Church in North Platte, Nebraska. He was preceded in death by his parents, Verril and Eleanor Thomas, and sister, Sherrie Brandenburg. He is survived by his wife, Susan (Huebner) Thomas, and three children, Damon Thomas (Reanna Hurlbert Thomas), Brian Thomas (Sarah Vogel Thomas), Darci Thomas (Marc Ciufolo) and seven grandchildren: Samuel, Isaac, Lorna, Landon, and Finn Thomas, and Renzo and Leo Ciufolo. Brother, Ted Thomas, Sister-in-laws Londa and Ron Schwanebeck, Mary and Brad Loseke, Brother-in-law Jerry Brandenburg, cousins, and many nieces and nephews. Gene played an active leadership role in his community throughout his life. He belonged to Blue Valley Pork Producers, Thayer County Feeders Board, and served 23 years on the Little Blue NRD Board of Directors. His love of music and drama led to participation in the Fairbury Community Theater, Jefferson County Singers, and Bonham Theater Board of Directors. He was elected to the Meridian Board of Education, and served as an Elder at Zion Lutheran Church. Gene had a passion for farming and ranching. He and Susan purchased their first farm soon after they were married and added to the operation by renting and purchasing more land as the opportunity arose. Livestock provided the cash flow needed to pay the bills. Gene was never afraid of hard work, and was often up during the night to farrow some pigs or pull a calf. He loved to travel with Susan and had recently visited Williamsburg, Virginia, Oregon and Northern California, Alaska, Panama and Costa Rica, Dominican Republic, Germany and cruised the Danube River. His children and grandchildren gave him so much enjoyment. He love to spend time with them discussing the way the farm should be run, the current politics, sharing family stories, putting up sweet corn, making homemade ice cream and even 4-wheeling and sledding. Services are at 10:30 am Friday March 22, 2019 at Zion Lutheran Church – Tobias. The family will greet friends Thursday March 21st from 6 to 8 pm at Gerdes-Meyer Funeral Home in Fairbury.